Rakesh Prabhu is a Partner of ALMT Legal, which was set up in London in the year 2000 and now has offices in Mumbai, Bangalore and New Delhi. Rakesh is currently located in the firm's Bangalore office, where he leads its Intellectual Property (IP) law and Immigration law practices. Rakesh is a Registered Patent Agent before the Indian Patent Office. Rakesh has several years of experience in handling and advising matters relating to Intellectual Property laws and Indian Immigration Laws. He is instrumental in advising many start-up companies in developing and managing their IP Portfolio. After completing his graduation from University Law College, Bangalore, Rakesh practiced law before various courts and tribunals. Before joining ALMT Legal, Rakesh has represented the interests of Central Government, Employees’ Provident Fund Organization and Central Board of Direct Taxes in various matters before High Court of Karnataka, Central Administrative Tribunal and Income Tax Appellate Tribunal. During his stint in litigation practice, Rakesh has also represented interests of various Banks including Vijaya Bank and State Bank of Mysore before various forums. 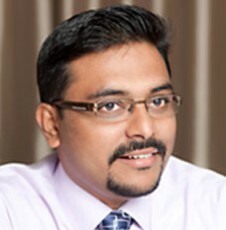 At ALMT Legal, Rakesh is primarily responsible for handling Intellectual Property and Indian Immigration Law practices. His areas of interest include Patent laws, cyber laws, licensing and negotiation, IP enforcement and IP litigation. He has been eminent speaker in many IP awareness related conferences and has authored several articles and papers on IP, which are published in periodicals and journals of CII. Rakesh is a visiting faculty at Global Institute of Intellectual Property (GIIP), National Institute of Advanced Legal Studies (NIALS) and Karnataka State Open University (KSOU), Mysore.